Marc-Andre Fleury could have been a member of the Calgary Flames last season. The former Penguins goalie and three-time Stanley Cup champion told Sportsnet’s Eric Francis as much while in New York for league meetings. Fleury, who has a limited no-movement contract that includes a 12-team no-trade list, was connected to the Flames through rumours for much of last season. With Calgary fumbling and bumbling with the duo of Brian Elliott and Chad Johnson, Fleury was a clear upgrade. But if the 32-year-old goalie wanted to block a deal, he could have. 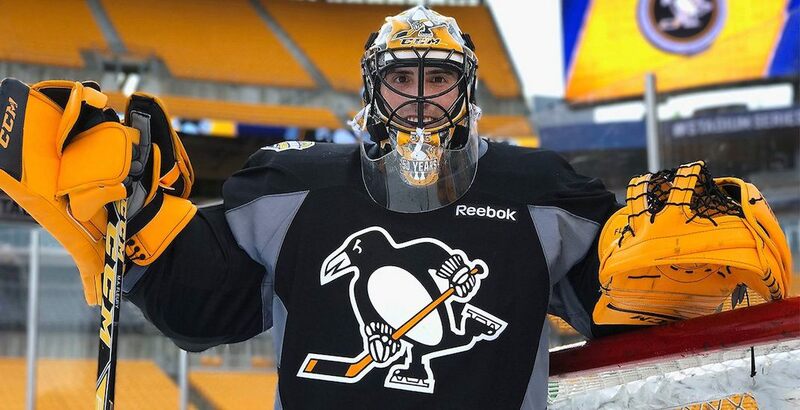 Consider that Fleury could have blocked a move to 12 teams, and that fewer than 12 teams were likely interested in his services, it would have been easy to force the Penguins’ hands. Say no to teams like Calgary and Winnipeg (two teams that needed an upgrade in goal), while saying yes to teams like the Canadiens and Rangers (two teams that are set in goal). Easy peasy. The move to Calgary would have made sense for the Pens at the trade deadline. As it turned out, Pittsburgh made a smart decision hanging on to him. Fleury played great while starter Matt Murray was out of the lineup, helping the team win the Stanley Cup. The playoffs didn’t go so well for the Flames, who failed miserably with Elliott as their No. 1 goalie. Fleury, of course, ended up accepting an offseason move to Vegas. Again, he could have forced Pittsburgh’s hand, but the classy veteran waived his no-movement clause to allow the Golden Knights to take him in the expansion draft. Flames GM Brad Treliving decided to go in another direction, acquiring Mike Smith and Eddie Lack in the offseason.